While studying the Master's course Narrative Environments in Central Saint Martins, me and other 3 classmates came up with an interactive exhibition to help Somerstown and St. Pancras residents share stories about Activity. This exhibition was the launch to a three year Camden Council's project on Wellbeing in Somerstown. 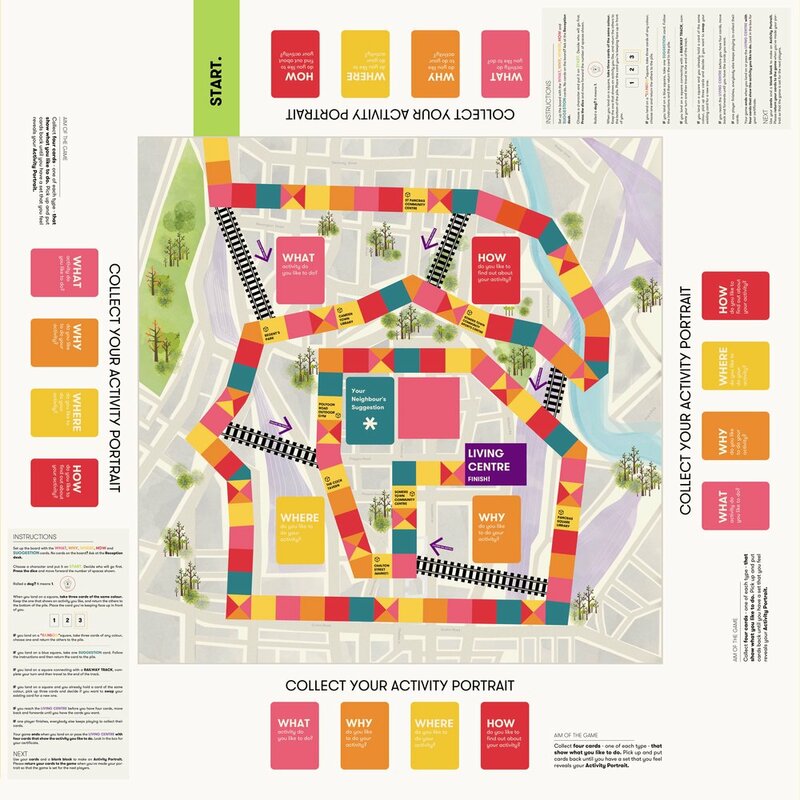 We created several games to engage with the community in social research, a pack of cards that ended up as a board game in the exhibition. The themes discussed were the crossover between INVITATION, MOTIVATION, ACTIVITY and PLACE.